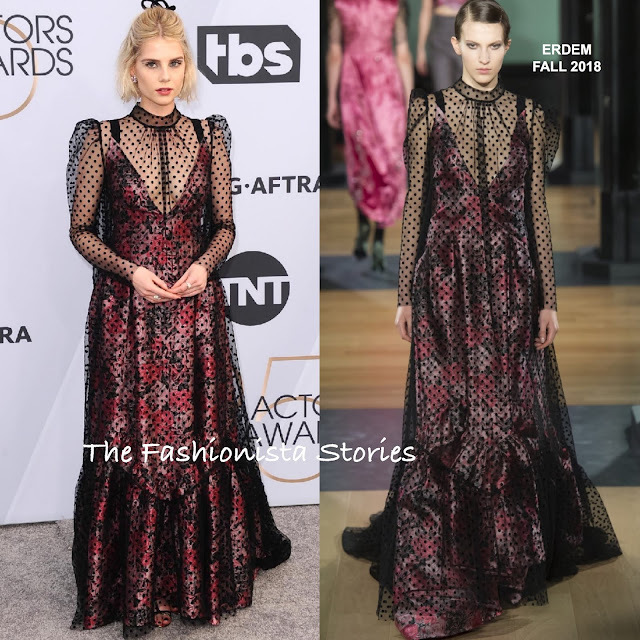 Lucy Boynton stepped out this evening(January 27th) for the 25th Screen Actors Guild Awards at the Shrine Auditorium and Expo Hall in LA. Some may think the half-up, half-down hairstyle which was adorned with a bow, is a bit too tween but for Lucy with this dress, it really works. However the frumpy shape of the overlay is unfortunate. A smokey eye, pink lips and silver rings finished up her look.